CD review: "The Prestige Records Story"
This review first appeared in the January 1, 2000 edition of the American Reporter. During that time, independent jazz labels abounded  and, in many cases, the most influential jazz records were made on these small labels. Outfits like Blue Note, Verve, Riverside and Contemporary were taking chances on young up-and-coming (or sometimes completely unknown) artists like Miles Davis, Charlie Parker, Thelonious Monk, Dizzy Gillespie and others who would radically change the face and sound of jazz. While the giants of the time (RCA, Capitol, Columbia) were content with the predictable sales by established artists such as Count Basie and Frank Sinatra, it was through these smaller labels that the new music percolated to the masses. Outside of Verve and Blue Note, none packed the punch of Prestige. 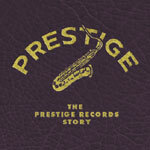 With an artist roster that at one time or another included everyone from Miles Davis and Sonny Rollins to Thelonious Monk and Stan Getz, Dexter Gordon and Mose Allison to George Benson and John Coltrane, Prestige had some of the most exciting releases on the jazz scene during its run from 1949-71. The brainchild and passion of Bob Weinstock, Prestige Records was one of those labels like Motown, Stax or Sun where there was an overriding "sound" consistent to the label. With Prestige, Weinstock's influence brought a hard-charging, swinging sensibility to just about every release. There was always an undercurrent on any Prestige record, a surging creativity that remains nearly a half-century after the first recordings. While Prestige continues today as a subsidiary label of Fantasy, a new four-CD box set tracing Prestige's history focuses on its period as Weinstock's independent voice of jazz. The result is a collection that is both scholarly and pleasurable, as solid a historical reference as it is listenable. But given the library of Prestige, it couldn't be any other way. There's no way to listen to Richard "Groove" Holmes' rollicking organ riffs on "Misty" without tapping your foot, or to maintain an academic distance from Sonny Rollins' eminently swinging "St. Thomas." The music has too much life to stand for that. An important collection? Undoubtedly, many jazz critics will describe it as such for, as mentioned, a ton of groundbreaking music is in this little box. But don't let that scare you off. This is the goods  music that will grab your soul and never let go.